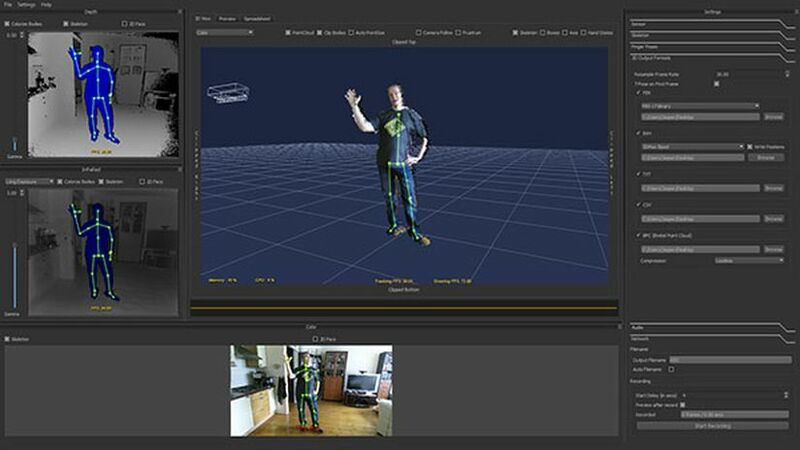 Jasper Brekelmans releases 2 new versions of proprietary applications based on Kinect: Pro Body v.2 and PointCloud Pro v.2. Among the news' we find a significant improvement in fidelity 'and quality' of the data with the new Kinect for Windows sensor v.2. Pro Body is an application for Windows which allows using Kinect, the acquisition of data for the Motion Capture more to 6 people, and PointCloud Pro, and an application that records 3D point clouds (all using the Kinect sensor ) and export the data as a particle-mesh-cache and cache which can be used in most 3D packages.